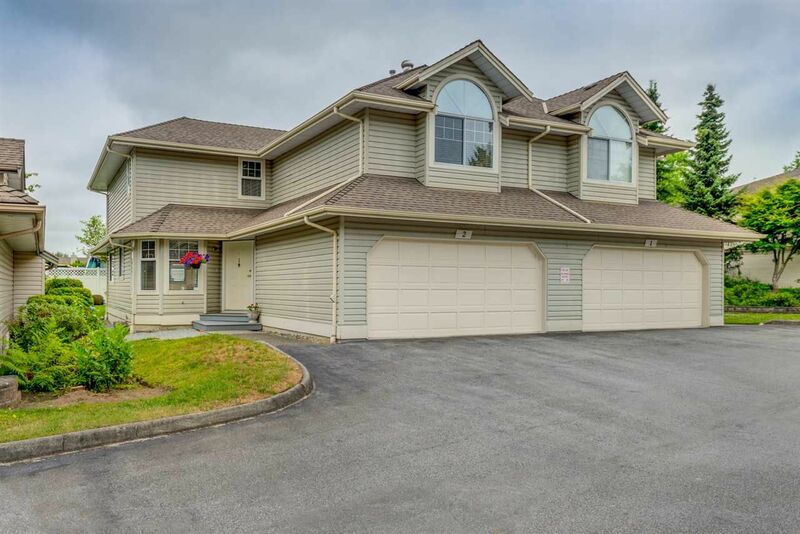 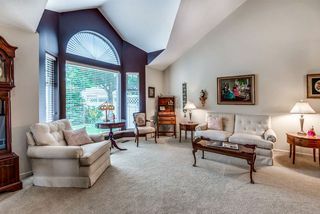 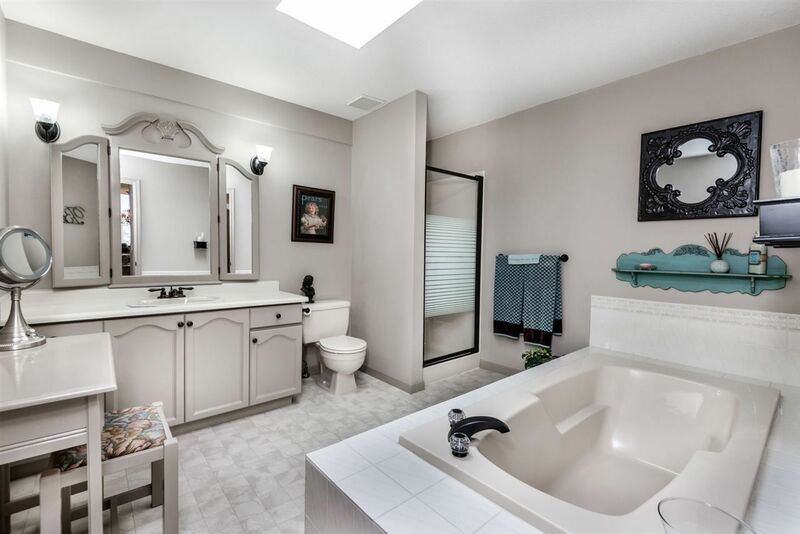 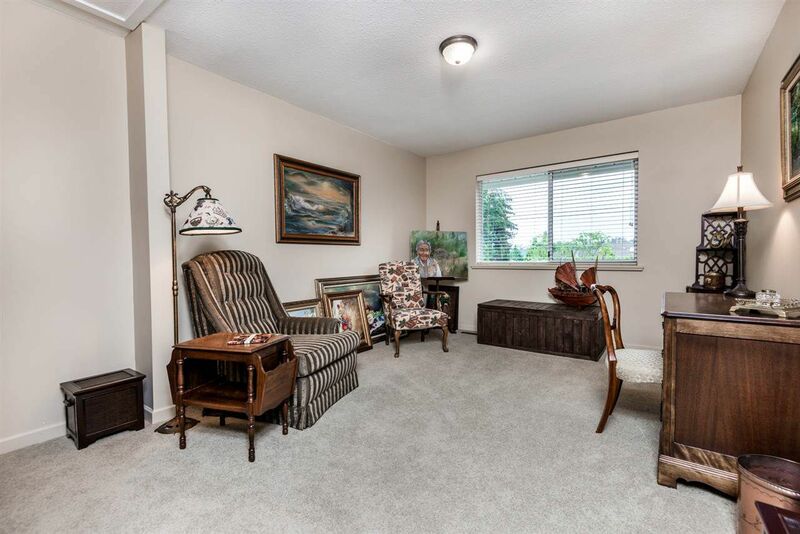 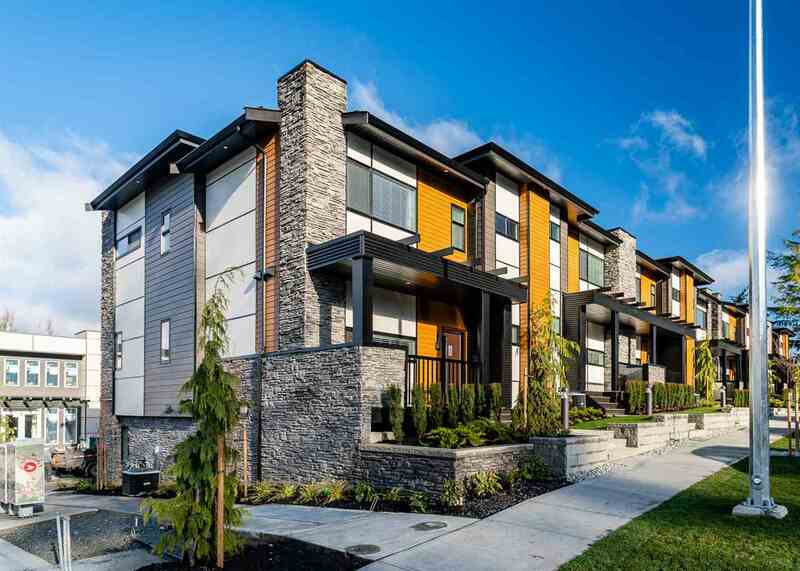 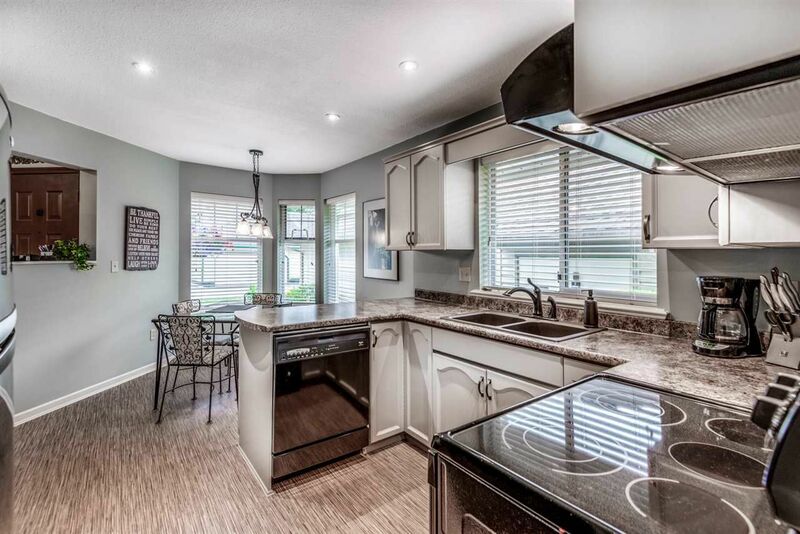 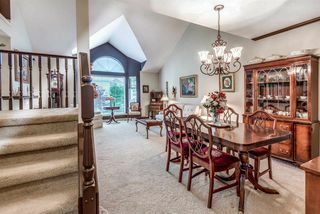 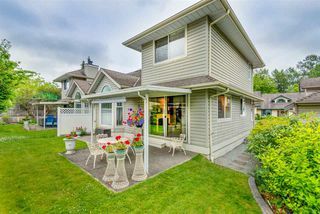 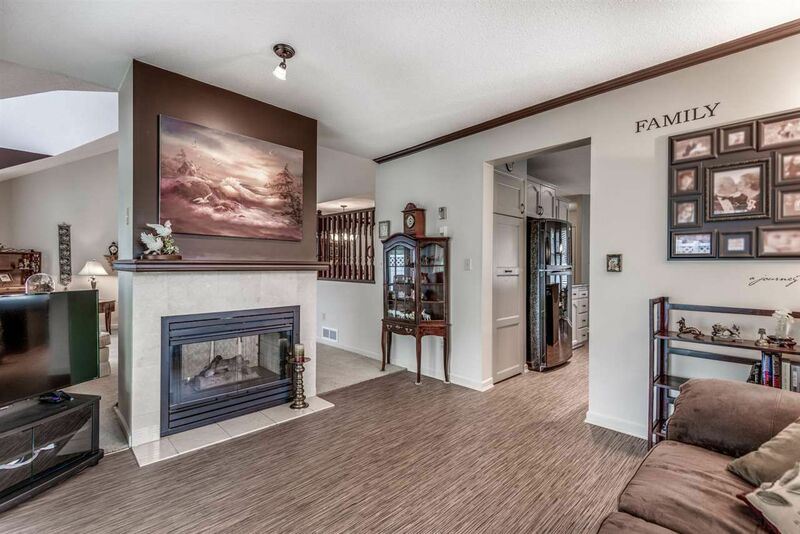 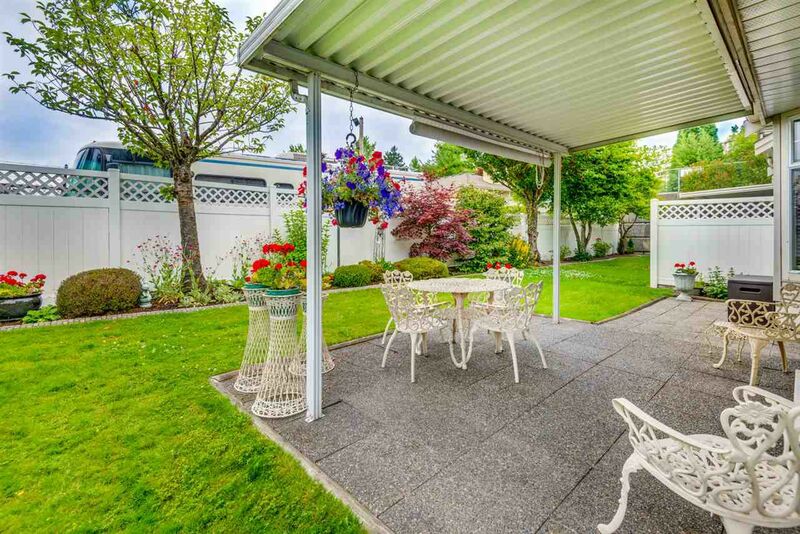 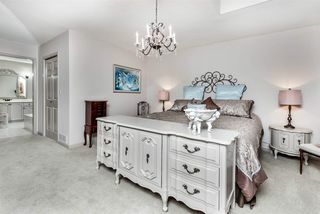 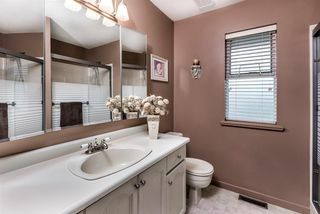 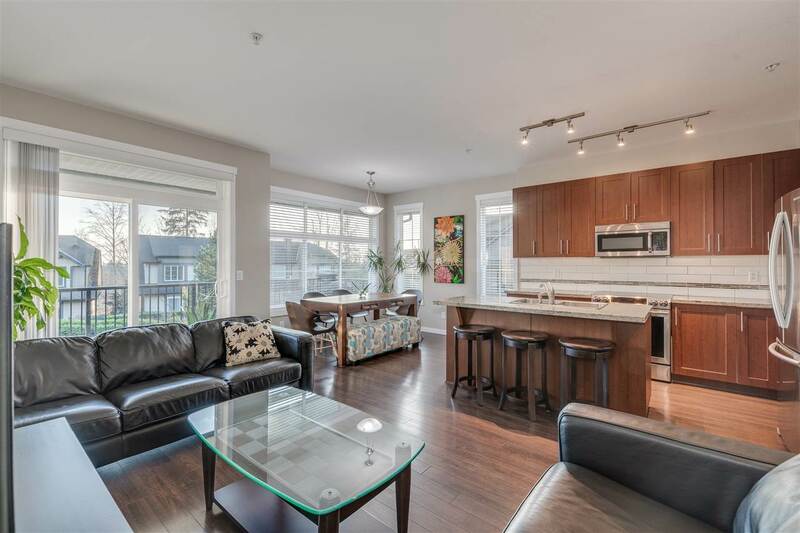 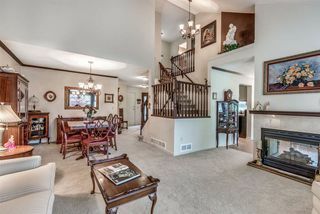 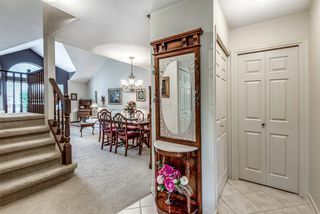 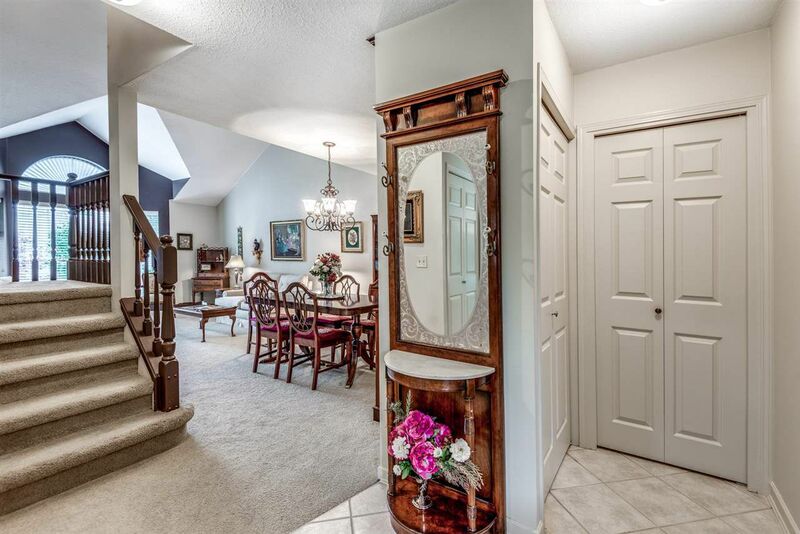 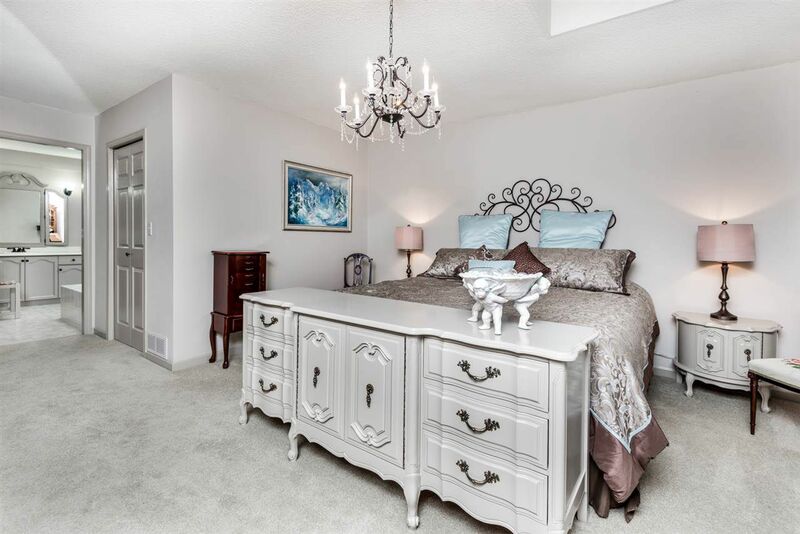 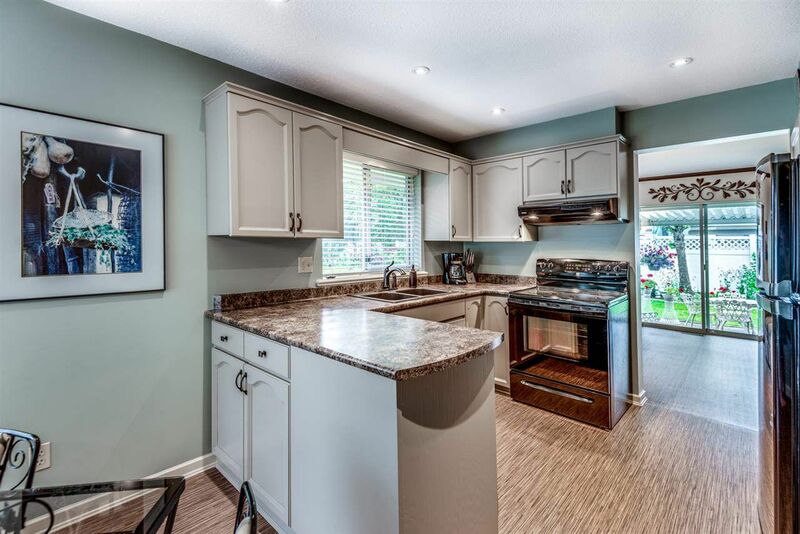 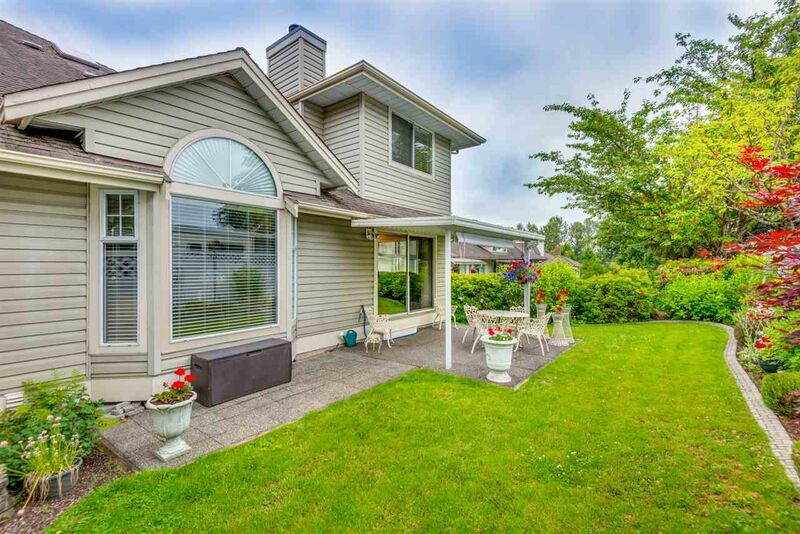 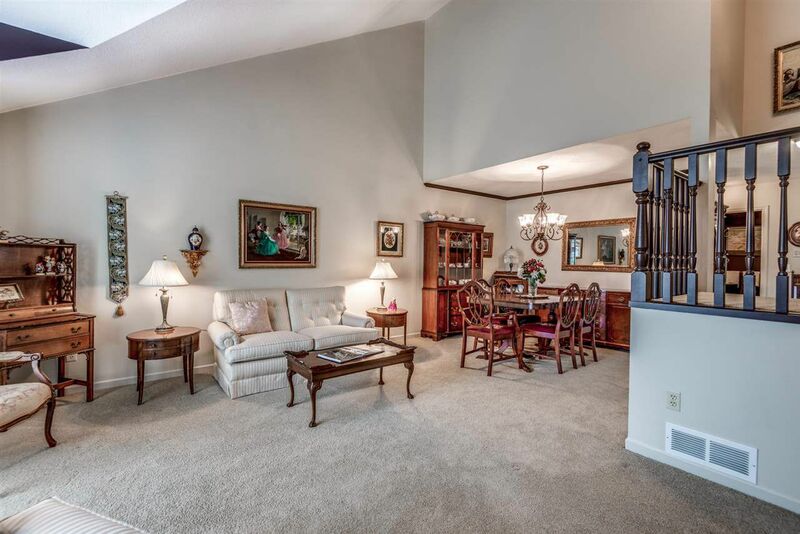 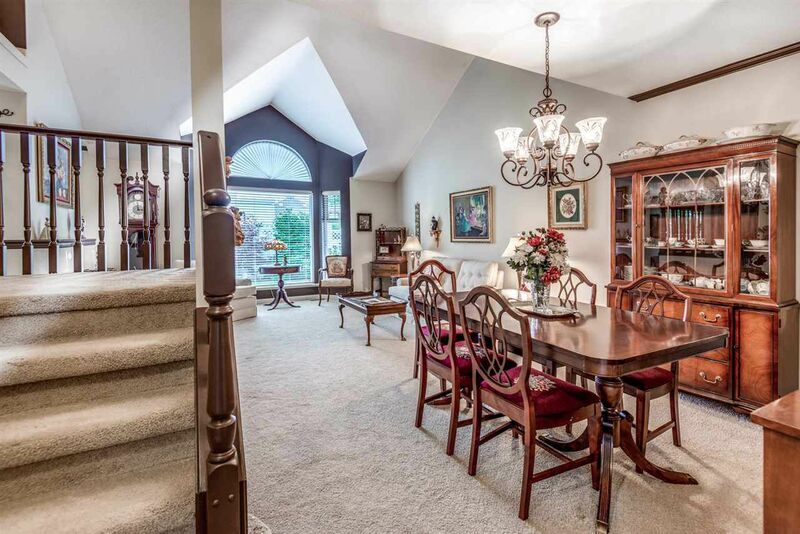 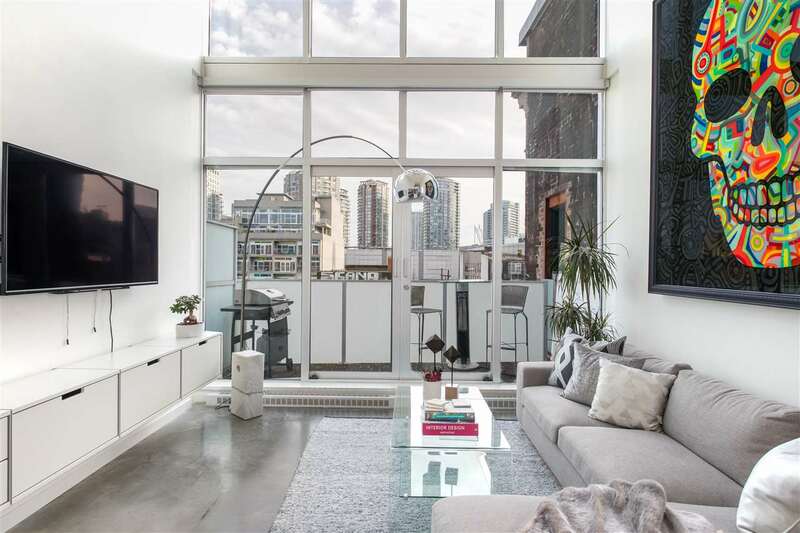 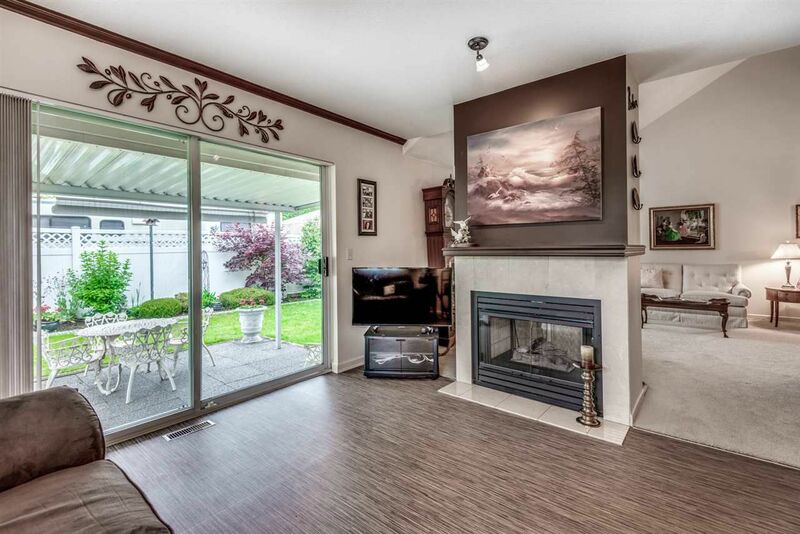 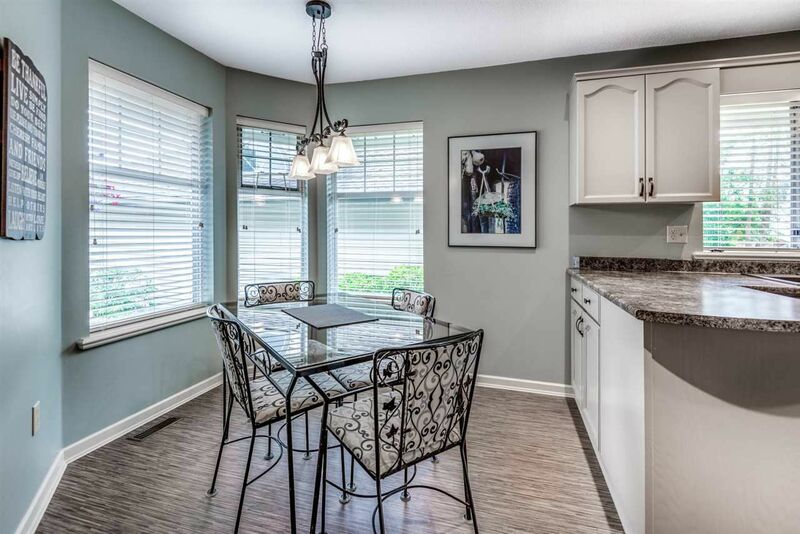 FRASERVIEW VILLAGE, 55+. 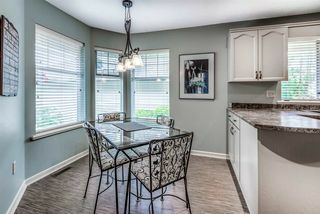 Stunning move-in ready open concept 2 bdrm., 3bth, vaulted ceilings, cozy f/p, durable vinyl and carpet flooring, large mstr bdrm with huge ensuite, soaker tub & walk-in closet, wired for sec sys, B/I vac, covered patio, floor to ceiling windows in living-room, peekaboo view to Fraser River, sliders from family room out to a nice private yard, double car garage, amenities inc. pool, whirlpool and 2 rec centres. Pets allowed with restrictions, no rentals allowed. 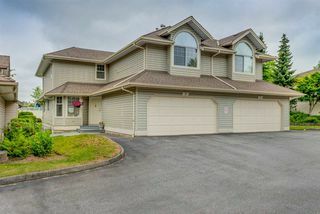 Conveniently located just a short walk to West Coast Express Station, Haney Wharf, & historic Billy Milner Alehouse & Pizza Café! 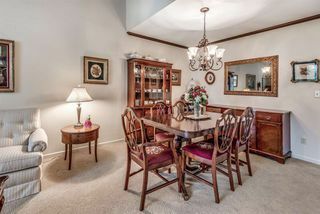 Walking distance to shopping and other amenities.